From 1 January 2020, all ships and vessels operating anywhere in the world will be required to use fuel which contains a maximum of 0.5 per cent m/m sulphur, as agreed by the International Maritime Organisation (IMO) in 2016. This extends on the existing regulations in the Emissions Control Areas that have been in place since 1 January 2015 (ECAS). Those shippers moving product in these areas will have seen surcharges related to this use of low sulphur fuel to comply with these regulations. This is a significant global development that will translate to higher sea freight costs globally. Major shipping lines, such as Maersk and MSC, have each estimated the annual cost of complying with these new requirements to be $2BN USD per year. This amount will be cost recovered via new fuel surcharge mechanisms. • Major capital investments including installing “scrubbers” on ships and by using LNG power for future container ships being built. CMA CGM has predicted the additional cost for shippers, based on current conditions, to be $160 USD / TEU. Hapag Lloyd have since announced a similar cost recovery surcharge and more shipping lines are expected to introduce similar charges in the coming weeks. How do we hold the shipping lines accountable? Maersk and MSC will be introducing their cost recovery programme from 1 January 2019, one year earlier than the introduction of the IMO’s regulation. 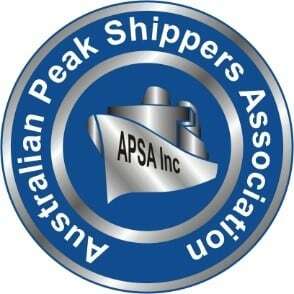 Freight & Trade Alliance, the Australian Peak Shippers Association (APSA) and Scope 3 (Australia’s representative to the Global Logistics Emissions Council) are currently working with regulators to validate the true cost of compliance and to ensure that the shipping lines can justify these new costs. This is a significant event in international shipping that will have a long-term impact on freight costs and how freight charges are structured. These changes are not confined to Australia and will have a direct impact on shippers around the world.